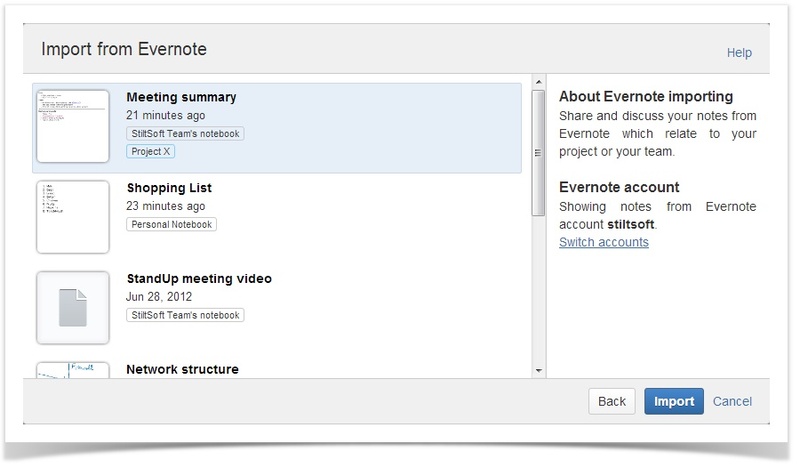 High on the heels of the long-awaited Confluence 5.0 release, we roll out a new version of Evernote Plugin. Besides the full Confluence 5.0 support, the new version adds some neat features making the integration with the Evernote service tighter. One of the really awesome new features packed in Confluence 5.0 is Blueprint, an innovative way of creating pages and blogs. Using Blueprint, you can add empty pages as well as pages based on templates to all available spaces. With Evernote Plugin for Confluence you can go farther and with a few clicks create a page from a note saved in your Evernote account. Keeping all nifty things like note tags and previews, we redesigned the Import from Evernote window according to the Atlassian guideline and aligned its look and feel with the new Confluence. Well-featured Confluence 5.0 is no doubt a milestone version that many will love, and we hope that installing a new version of Evernote Plugin will help you to make the best of it.